Do you have Cisco Wireless IP Telephones, Batteries, Chargers or other wireless voice accessories you no longer need and want to sell? NetEquity.com is a leading commercial buyer of Used and Excess Cisco Wireless IP Telephones. We purchase used, out-of-service Cisco wireless handsets from corporate clients such as warehousing operations, hospitals, oil & gas companies and other end user organizations with IP mobility requirements. If you have Cisco wireless phones you are interested in selling, connect with a NetEquity.com buyer agent today to receive a quote! Cisco offers a variety of wireless IP telephones including the popular Cisco CP-7925G and CP-7926G handsets, as well as the newer Cisco CP-8821 wireless handset. The Cisco 8821 is intended for a mobile user who is not tethered to a desk or cubicle, and is typically on the move but still needs to be reachable at a physical extension. 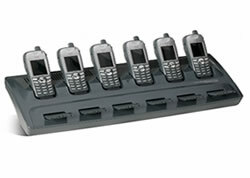 We Buy and Sell Cisco Wireless IP Telephones, Batteries and Accessories . Interested in Buying or Selling Cisco wireless VoIP handsets? We can help! Contact us today for a quote. Interested in a quote to Buy New or Refurbished Cisco Wireless Phones? NetEquity.com offers competitive pricing discounts on both New and Refurbished Wireless IP Handsets, Batteries, Cases, Chargers and other accessories. To request a price quote, simply contact us or complete a quote request form online to get started. IN STOCK, with no long lead times. NetEquity.com wants to buy your used, excess or end-of-life Cisco Wireless IP Telephones, Chargers, Batteries and Accessories. If you've simply outgrown your Cisco wireless phones and are interested in a trade-in or upgrade, we can help. Contact us today to sell, consign or trade your unwanted Cisco Wireless Telephone equipment.